Between East and West. Increasing the potential of the Institute of Slavic Studies of the Polish Academy of Sciences as a prestigious international research centre. 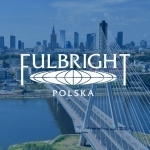 A project implemented as a part of the “Welcome to Poland” programme of the National Agency for Academic Exchange. Common Language Resources & Technology Infrastructure is a pan-European research infrastructure which aims to offer language resources and tools for processing all European languages to researchers in the humanities and social sciences. Digital Research Infrastructure for the Arts and Humanities is the largest humanities consortium in Poland. Currently the consortium is composed of eighteen leading digital humanities scholarly institutions. “Language across generations: Contact-induced change in morpho-syntax in German-Polish bilingual speech (LangGener)” – a research project funded by the National Science Centre (Poland) and the German Research Foundation (Deutsche Forschungsgemeinschaft). Interdisciplinary PhD programme in humanities: Borderlands, Minorities, Migration in Sociolinguistic Perspective will be run at the Institute of Slavic Studies of the Polish Academy of Sciences in 2018/2019–2022/2023.